Gluten-free mozzarella cheese sticks, who’da thunk it? YES! Heck, even in my former gluten-life, I could not make a cheese stick. I could make a mean hollow tube of fried bread crumbs mind you, but somehow, the cheese always managed to escape! A) You turn your head for a quick second then back again, only to find a pan of oozing white lava. There had to be a trick to them, but heck if I knew what it was! That was when I simply gave up trying to make my own cheese sticks and just assumed I would only ever enjoy them at a restaurant or out of a box; but for me, that was many moons and an entirely different person ago. Flash forward 20+ years and one celiac diagnosis later; I found myself, once again, in a cheese stick smack-down. This time though, I was determined to win, because I did not have anything to fall back on (it’s really amazing the things one can accomplish when when there isn’t an easy way out! ), the best part about that? Empowerment. It feels REALLY good when you finally decide to stand up tall, quit feeling sorry for, and/or resigning yourself to a life of living without, and instead, figure out a way to say, YES! I’m really not sure what to say about this. Prior to making these a couple of months ago, I hadn’t had a cheese stick in well over 5 years. Then it dawned on me, neither of my boys had ever had a cheese stick before…NEVER! And you know what? They were perfectly fine and happy without them! That was when it finally hit me on a deeply personal level, that how I had come to view certain foods as an adult, really had nothing to do with the food itself…it had everything to do with the emotions and memories that were attached to them. 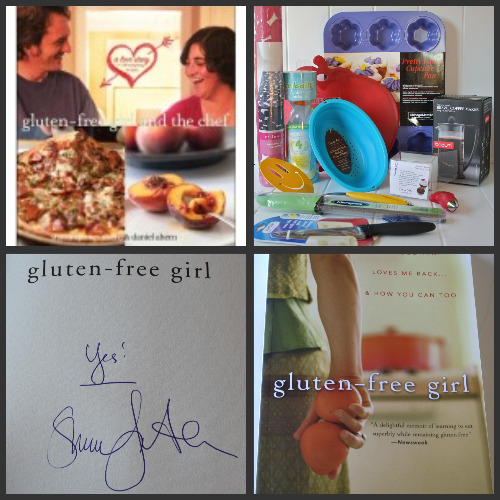 Tagged: Appetizers, Appetizers and Snacks, gluten free, Gluten-Free Panko Bread Crumbs, How to Make Cheese Sticks, Kids, Mozzarella Cheese Sticks, Photo Tutorial, Recipe, Ree Drummond, Tasty Kitchen, The Pioneer Woman Cooks! 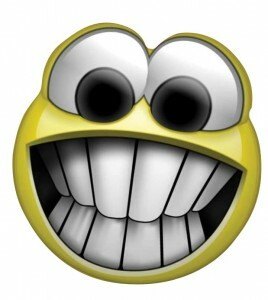 oooooooh YUM Mozz sticks …. I LOVE YOU!!!! I'm assuming you subbed for the flour, too–what did you use? Thanks for calling my attention to that, I will fix it right away. I just used my Better Batter GF All Purpose Flour, but you could use whatever your favorite flour GF flour blend is, or even just a single flour like rice, tapioca, sorghum, etc. You do not need to add xanthan or guar gum because all you are using the flour for is to give the egg mixture (or other liquid) something to adhere to, otherwise it would slide right off the cheese stick (but if you use a flour blend with a gum already in it, don't worry, it won't hurt one bit). 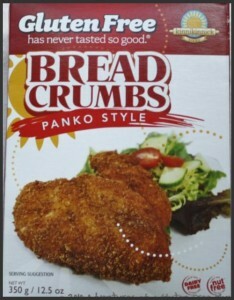 I tested those Kinnikinnick Panko Crumbs a few months ago and they are fantastic. Every recipe I used them with was crispy and crunchy and perfect. Can't recommend them enough. I did fish cakes and risotto cakes and chicken strips with them and the kids loved them. Another post that had me laughing and saying YES. Fish and risotto cakes sound yummy! I have only ever had crab and salmon cakes before, what fish do you like to use? I like cod for the fish cakes. You wear your 'glutadoodle' hat so well. Yummmmm! And congratulations to Diane!! Oh My! Yummy. Haven't had Mozzarella Stickes in like forever! Looks wonderful! I am wondering if these could be made with cut up chunks of a vegan replacement? I know that Vegan Gourmet is made with soy and that is not a preferred substitute for you. Fake cheeses need higher heat to melt, so it may not work. I am going to try these for myself (little man can't have dairy) and let you know how they work. Now to find those panko crumbs! Congrats on getting to the point where you are making memories with your children that are of what you can do/eat vs. re-creations of your youth. Isn't that classic for most parents to want to do though; the passing down of family traditions. I have looked at the difficulties with my children (autism, food intolerances, etc) as being a blessing of breaking the need to re-create my youth or my dreams. Most important things to people as adults are those that have good memories attached. The important thing is not the "THING" but the memory. My mom has this pewter water cup and a small cross that I have told her I want someday. She asked me "why on earth do you care about those". My response was "the pewter cup I filled with water and helped you iron dad's shirts when I was little and the cross I held in my hands when we cuddled when I was sick" It is the memories with my mom that those pieces contain. I don't need the object to have the memory, but the object is still comforting. You are an awesome mom Heidi, and your children will have a lot of memories of you and all the special little things you do for them. I'm excited to try these! I always heard that putting the string cheese in the freezer for a bit before frying them helped in keeping the cheese from completely melting before they browned. I'll try that tip and let you know how it worked!! I'm SO frustrated that these Panko breadcrumbs have egg in them. Makes me so sad! I found them at earthfare about a month ago, threw them in my cart, then thought "wait a second…what about eggs". And there they are in the ingredients. SIGH!!! What are your favorite gluten & egg free breadcrumbs? my favorite bread is from Sami's Bakery in FL. i order once a month with a group of friends. i wish Udi's would magically remove eggs from their recipe! 🙂 and how cool that there is a panko breadcrumb maker! Sami's is NOT gluten free! No matter what anyone has told you! I made these today and they were awesome! 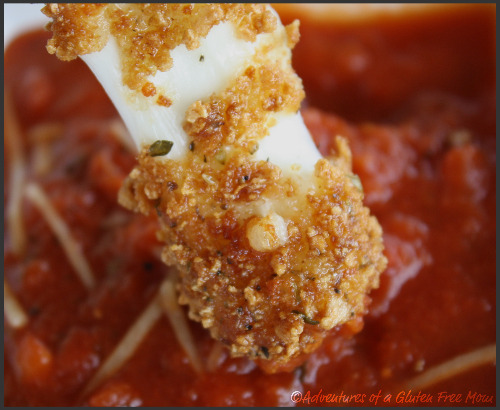 I had been craving mozzarella sticks for weeks and this recipe was perfect! One note I had, with the bread crumbs I used, the coating was a bit thin, so I double coated the second batch and froze for 10 more minutes. Amazing!
" allowing my children to build their own special memories surrounding the foods we now eat together as a family…instead of trying to “re-package” my childhood memories for them." I needed that today. Some times my heart is broken that i cant share some of my childhood faves with my kids. But you are so right! We are all better off not eating the the way we did before> it think it has so improved the health on my family.